Its a lovely drive through the Mae Sae valley and up the rather steep hill to this mountain top experience at Mon Cham at Nong Hoi. 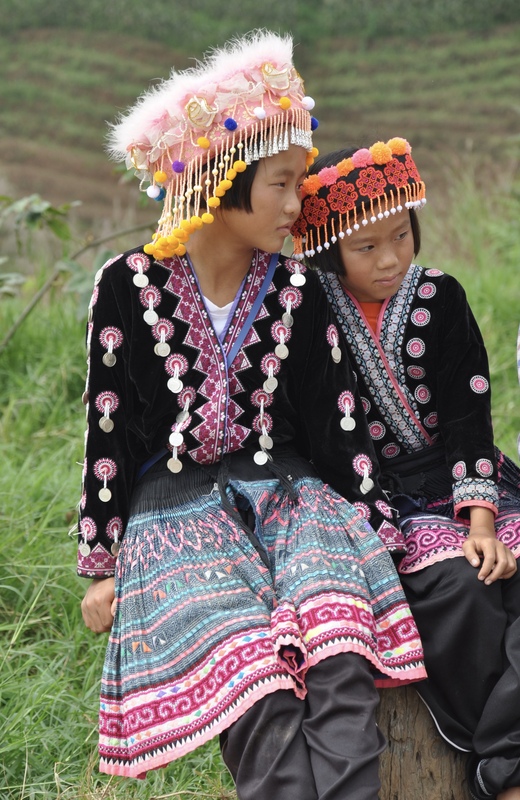 It is a perfect example of a typical Royal Project, being situated on a 1,400m-high mountain ridge slightly above the Hmong village of the same name. 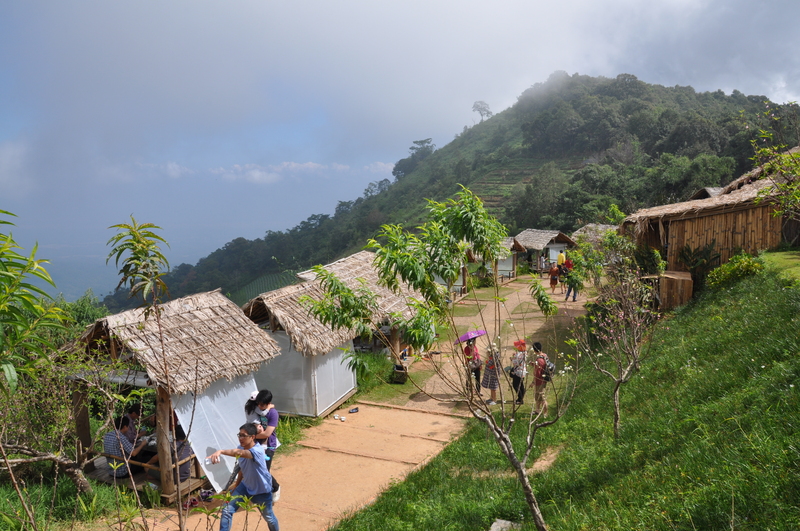 There is a restaurant and camping situated in the Nong Hoi Royal Project in this area of Chiang Mai’s Mae Rim district. Numerous Royal Project agricultural sites are scattered across Northern Thailand and are generally devoted to assisting villagers, particular hill-tribe people, to diversify their farm production into high income, temperate crops that can be grown at cooler high altitudes and provide good returns in expat supermarkets and hotels of Chiang Mai and Bangkok. Hmong and Akha tribes aren’t traditionally familiar with say strawberries or brussel sprouts, so the projects aim to educate the locals in these new forms of cultivation. This project grows strawberries and certain temperate fruits and vegetables as well as herbs and aromatic plants such as lavender. An additional form of income comes from the tourists that visit these sites and Nong Hoi is particularly popular with Thai tourists but not so for farangs yet. You can stroll around the herb, flower and vegetable gardens, take in the views and eat at Nong Hoi. The camping at Mon Cham refers to tents situated just below the ridge line. They go for around 2-3,000 baht a night. The price is a bit steep as is the ridge, but they’d be frequently booked out for weekends and holidays with local tourists anyway. The restaurant can get busy, particularly at weekends; it’s open lunch and afternoon only. Getting there requires your own transport or if you don’t have your own transport your only choice really is to hire a red songthaew/pick-up. If you do have your own means of transport then take the Mae Sa turn-off on the Chiang Mai-Mae Rim road and keep going past the ATV hires, orchid farms and elephant camp until you see a sign on the right hand side for Nong Hoi/Mon Cham. From there it’s a well signposted but steep climb for another 12 kms or so until you reach the mountain top and you can’t go any further!